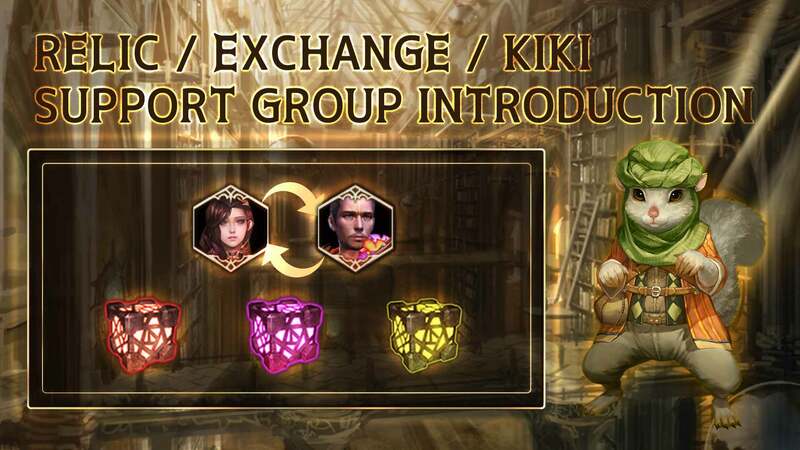 This is CM Bident Cloak, and I am back with another introduction post of Relic / Exchange / Kiki Support Group content! Relics contain knowledge and treasure from the former Guardian Dragon and Talions. 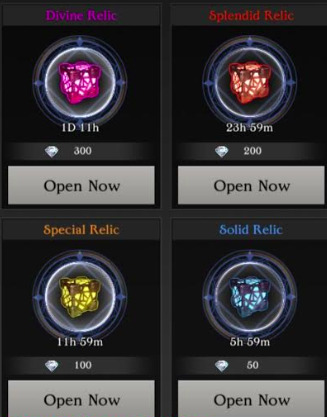 You can open the item through the Relic Laboratory to earn various rewards! It requires a considerable amount of time to open the Relic. The higher the grade, the more time it will take to open one. 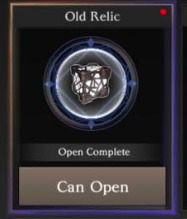 Once time elapses, you can open the Relic and obtain the items inside. One Reliquary is available as a default, and you can add up to 3 more to use a maximum of 4 Reliquaries. You can exchange unused Shards for other Shards in Exchange menu. 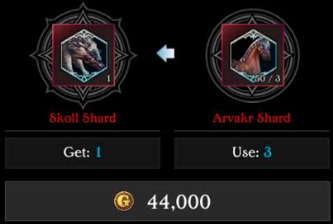 The amount and cost of required Shards depend on the quality of the item you want to exchange for. Kiki Support Group is a service agency that supports Talions, established by those who received help from Talions in the past. 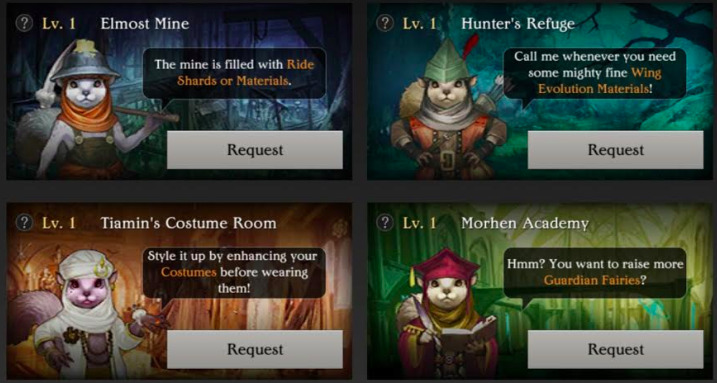 You can request four different missions and receive special rewards when they are completed. The maximum duration of a Request is 12 hours, and is divided into 3 stages based on duration. The request stage increases as time elapses after completing a Request. 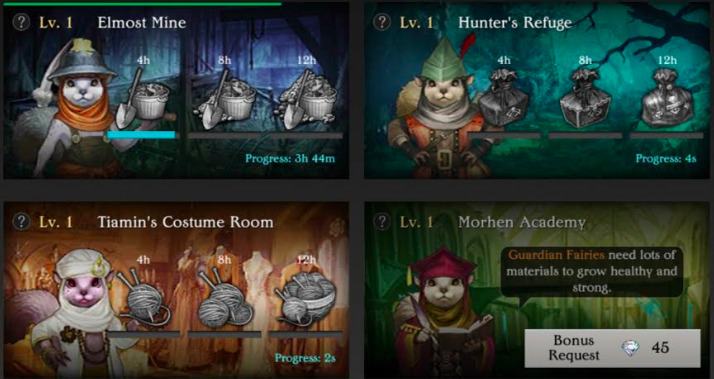 Completing Requests of a higher stage will earn you better rewards. As you complete each Request, the Request Office develops as well. Request Speed increases as the Request Office levels up. Only one Request can be made at a time. However, you can make additional Requests by paying extra each time. Request cannot be canceled with 4 hours of the request time. You will receive a phase reward based on the time the reward is claimed. 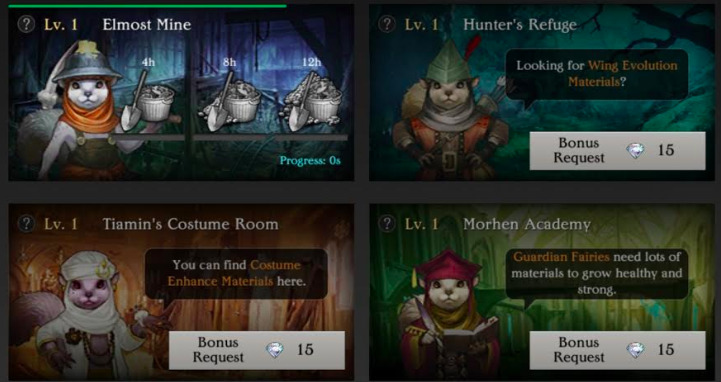 The following rewards are available from the Request Office. Make sure to utilize all three contents introduced today! They are all great source to gain materials that you want! Last edited by CM.Bident_Cloak; 02-13-2019 at 05:40 PM.